Firstly, it is important to recognise what these stocks do. Amazon, for starters is really a retailer. It sells products to the general public - be it through the Amazon website, or through its Wholefoods outlets. Is Facebook a tech company, or is it an advertiser? The same could be said for Google. Yes, these companies use "tech" (read internet) to achieve what they do, but it is almost impossible for any consumer-focused business today not to have a significant internet presence. In fact, you will find that the majority of those that don't have a strong internet presence are likely in decline. 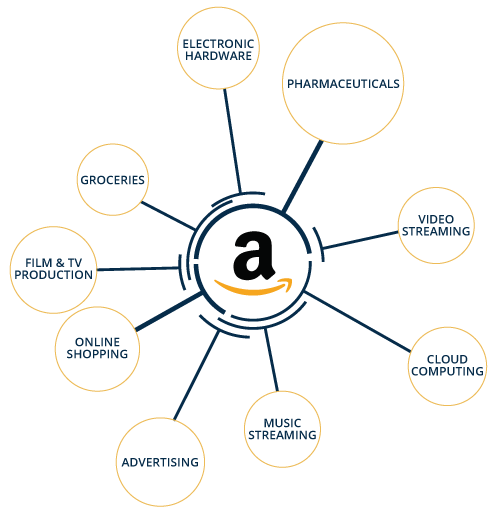 Below we show some of the industries where Google and Amazon operate. FAANG stocks are categorized as "tech" stocks, however, we believe they are so much more than this. Our View does no constitute an Investment Recommendation and must not be viewed as such. Facebook has 2.2 billion monthly active users, which equates to 30% of the world's population. Digital advertising spend continues to grow, with Facebook's engaged user base ensuring it attracts a high proportion of this. In its most recent quarterly results advertising sales rose 49% year-on-year, suggesting the digital advertising train continues to gather steam. At the same time, Facebook has several revenue levers it has yet to pull. These include e-commerce, payments and media streaming - all of which it has the existing infrastructure for. Further, Facebook has yet to monetise core assets, including WhatsApp and Instagram. Although the prospects for revenue growth look strong, political pressure has led Facebook to ramp up spending on security recently which will compress margins in the short-term. On the surface, things are looking rosy at the zeitgeist-forming technology manufacturer. Services are a growing part of Apple's revenues and some analysts suggest offerings such as the iCloud and Apple TV could keep consumers tied to the Apple ecosystem, creating a moat around revenues. Despite this, hardware remains the dominant source of revenue at Apple, with the iPhone alone accounting for 60% of revenue in 2017. However, Apple's competitors - such as Huawei, Google and Samsung - have all made significant phone improvements, eating into both Apple's reputation for innovation and its market share. For example, the Google Pixel 2 is widely considered to have a better camera than the iPhone X, while in 2014 Samsung introduced the first mainstream iteration of an edge-to-edge screen - not introduced by Apple until the iPhone X. This leaves questions over the durability of Apple's dominant market share and its ability to sustain prices significantly above the market average. With this in mind, future growth expectations may be too optimistic. Amazon is notorious among investors for its high price-to-earnings multiple. Yet, we believe this is justified. Amazon's valuation is distorted by its high R&D spend - which has helped establish it as a leader in multiple markets, with many significant future growth avenues. Amazon has built a market-dominating e-commerce infrastructure, supporting unprecedented delivery times. With the switch from physical to online retail still in its early stages, Amazon is poised to take significant share of a growing market. Amazon is similarly dominant in cloud services through AWS, while its Prime membership programme is supporting a loyal, high margin customer base. The acquisition of Whole Foods, the creation and refinement of Amazon Alexa and its investment in digital media all point to future growth avenues. The story for Netflix is less clear cut. It has successfully shaken traditional media companies with its pioneering direct-to-consumer streaming service, which has attracted a large paying audience. This revenue, in turn, has supported investment into its content offering and it is now market-leading in terms of its content volumes - which is boosting future growth. However, the space is rapidly attracting large competitors with significant scale and strong intellectual property, including Disney and the other FAANGs. We believe the ongoing investment in content required to continue powering user growth, as well as fight emerging competition, will cap long-term profitability. Companies need to grow, and we also need them to grow profitably. Google's success centres on its leading artificial intelligence capabilities. Google's leadership in this area is partly driven by the unprecedented amount of data it has collected - which would be almost impossible for a new entrant to replicate - and partly due to the significant investments in R&D they have made. It remains the dominant search engine across all platforms, meaning it will remain a structural winner in digital advertising. 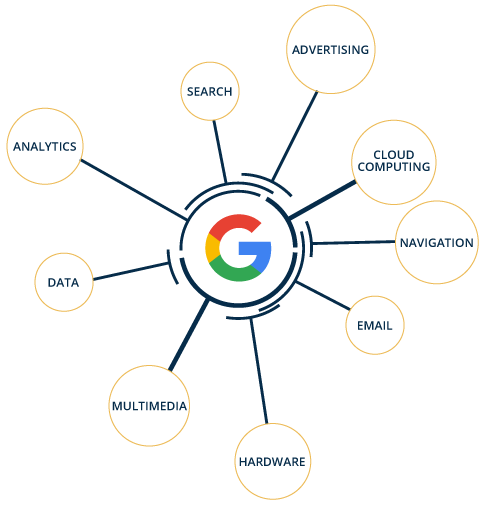 In addition, Google also has a significant suite of products witnessing accelerating growth, including Google Pay and the Google public cloud. Looking, ahead, its Waymo division is making significant strides in developing driverless technology.